I love everything about traveling, except for one thing: plane food. I dread it. Gordon Ramsay saw this as an opportunity and started a restaurant at Heathrow where you can have a lovely meal but where you can also buy good plane picnics, finally. A Ceasar salad, followed by smoked Scottish salmon and topped off with a cheesecake. Yes, you can actually eat this on the plane now! This is what the plane food picnics look like. For 3 courses you spend about 12 pounds, which is reasonable. Unfortunately I'll have to try one of these plane picnics next time, as the 50 min flight to Belgium is too short for a picnic. But I did go to the restaurant and was so pleased with the delicious food. 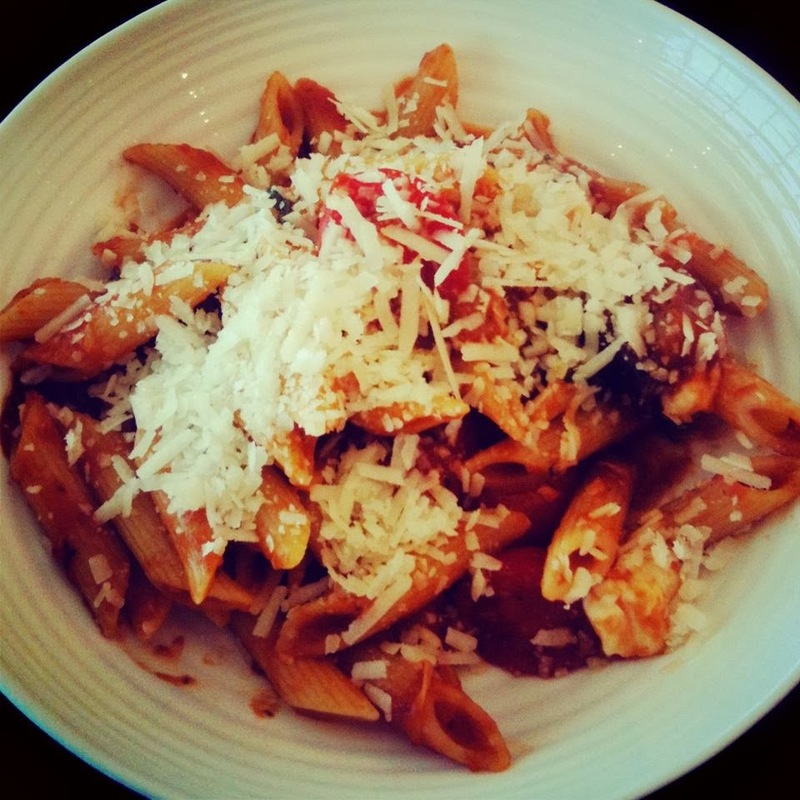 I had the "small" portion of penne with tomatoes, aubergine and mozarella and it was really perfect. My mom had the cured and braised pork belly and she loved it. Click here to see the whole menu. We couldn't help but have a little dessert so we shared a tiramisu which looked and tasted heavenly!